Syfy Commemerates 25th Anniversary with Month-Long Celebration! It’s the 25th Anniversary of the birth of Syfy and what do you do when there’s a big anniversary? You celebrate! Syfy’s celebration includes: a 15-part podcast series, SYFY25: Origin Stories, hosted by Adam Savage, and premiering on September 8th; the fomation of the Advisory Council of Leading Voices in the Genre (already including names like Carlton Cuse, Grant Morrison and Patton Oswalt); the return of Battlestar Galactica to Syfy linear and video on demand platforms on September 22nd, a SYFY25 Screening Series; a partnership with Reddit, and FANfare On-Air and Online as the network puts the spotlight on its fans. Syfy Announces Panel and Screening Schedule for Comic-Con 2017! Syfy has announced its panel and screening schedule for Comic-Con 2017. Highlights include the Battlestar Galactica reunion, panels for new series Krypton and Happy!, and screenings of episodes of Channel Zero: No-End House and Blood Drive. Fandemonium! Syfy Brings Krypton, Dark Matter & BSG Reunion To San Diego Comic-Con 2017! Syfy is bringing the Fandemonium to San Diego for Comic-Con 2017 – 15 panels and screenings including: a Battlestar Galactica Reunion; debates – which is better: Star Trek or Star Wars; did Greedo shoot first; panels for new shows Krypton and Happy!, and screenings of a new ep of Blood Drive and the first ep of Channel Zero: No-End House. Syfy Fan Parties; Superfan nuptials (Orlando Jones makes fans’ dreams come true, as he presides over pop-up nuptials at TBD locations throughout the weekend); Zachary Levi’s annual invitation-only Friday night party! Hulu Acquires Exclusive Streaming Rights To Syfy’s 12 Monkeys! A new agreement with NBCUniversal has given Hulu exclusive streaming rights to Syfy’s 12 Monkeys beginning on February 24th. The deal also adds full seasons of hit series, plus children’s programming to the Hulu library – including Battlestar Galactica and Saved by the Bell, which will available to stream immediately. If you are a self-proclaimed geek, the latest GeekScholars Movie News show might be considered mandatory listening. Hit the jump to find out why, or just trust us and hit play above. Looks Like The Apple Was Poisoned – Syfy Cancels Caprica! 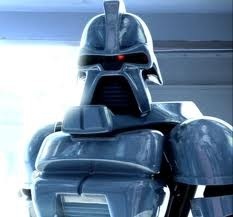 Syfy has announced the cancelation of the Battlestar Galactica prequel series, Caprica. The series has been pulled from Syfy’s schedule effective immediately. Caprica, which was conceived to tell the story of how the Cylons were created – the stories of two key families whose destinies were intertwined – started with an exposition-heavy pilot and early eps took awhile to put key elements into play. The result was a slow start in the ratings. It’s too bad that the lost audience didn’t check back in after week three, because the series went on to become a richly rewarding one with fine writing, excellent performances and intelligently conceived action. The Syfy press release follows the jump. The Return of the Original Toasters – Syfy Greenlights Battlestar Galactica: Blood & Chrome! If all goes well, Battlestar Galactica fans will be able to see the original Toasters in action. Syfy has greenlighted a two-hour pilot called Battlestar Galactica: Blood & Chrome – to be set during the tenth year of the first Cylon War. Its entry point will be the assignment of the young William Adama to the newest Battlestar in the Colonial fleet – the Galactica! Syfy’s official press release follows the jump. 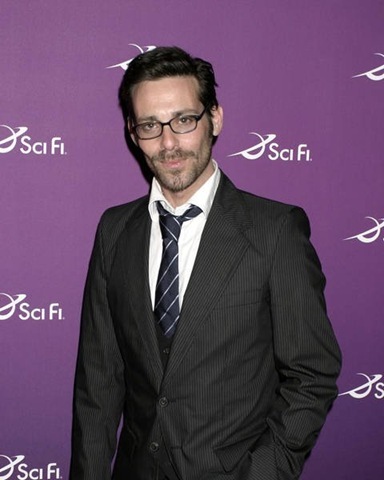 TELEVISION: Battlestar Galactica’s James Callis Joins Eureka! On Battlestar Galactica, James Callis played a self-serving, opportunistic, conniving genius. This summer, on Syfy’s hit series Eureka, Callis will play Dr. Grant – a former resident of the town whose unexpected return is cause for serious alarm and – considering his romantic interest in Allison Blake (Salli Richardson-Whitfield) – significant friction with Sheriff Jack Carter (Colin Ferguson). Once again this season series stars Colin Ferguson and Joe Morton (“Henry Deacon”) will direct episodes and also making her directorial debut is female lead Salli Richardson-Whitfield. Also, special guest stars returning this season include Jaime Ray Newman (“Dr. Tess Fontana”) and Matt Frewer (“Taggart”). Eureka seems like any other cozy, Pacific Northwest town, but is actually a secret community of geniuses assembled by the government to conduct top-secret research. What they’ve unwittingly created is a place where anything imaginable can happen… and does. In addition to Ferguson, Richardson-Whitfield, Morton, and now Callis, the series also stars, Erica Cerra (“Jo Lupo”), Neil Grayston (“Douglas Fargo”), Niall Matter (“Zane Donovan”) and features Jordon Hinson (“Zoe Carter”).